For moving larger loads, our 30" x 60" cart with handle is a perfect option. 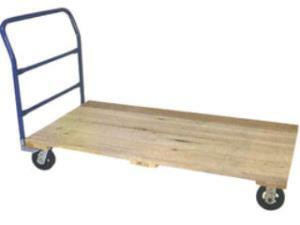 The cart has heavy duty casters, large wood planks, and can handle a 1000 lb load. * Please call us for any questions on our cart 30 inch x 60 inch rentals in Hillsdale and Ridgewood NJ.